Last chance to see Collaboractions excellent midwest premier, Be A Good Little Widow. ChiIL Mama highly recommends this one as a parents' night out, and we've been promoting the show since we saw it opening night, including their free wine ladies' nights and free pizza Fridays. Bekah Brunstetter is a young playwright, but she writes with a wisdom that belies her years. Her prolific work has been met with critical acclaim and she's a voice to watch in years to come. She ruthlessly writes her characters into difficult situations then helps them grow with humor and compassion. If you haven't seen Be A Good Little Widow yet, today and tomorrow are your last chances. The theatre entrance is on the south west side of The Flatiron Building. Don't miss this poignant, painful and powerful piece. Young wife Melody has never been to a funeral – until her husband dies in a plane crash. Expected to instantly assume proper widowhood, Melody is left to wonder, what’s the right way to grieve? Fortunately, her mother-in-law is a professional. Widow, that is. Under her guidance, Melody must try her best to be a good little widow. A sad comedy about loss and longing. ChiIL Mama was very excited to be the first press on the set of Chicago Children's theatre's upcoming production of Goodnight Moon yesterday! We have an exclusive interview with the director, Dave Kersnar and music master, Mark "Mucca Pazza" Messing, later today. Here's a photo filled sneak peek at their fabulous set design. We love that the set is a giant, chunky story book! The show opens for previews in FIVE days. We can't wait to see their upbeat, utterly original, updated take on a classic. ChiIL Mama thoroughly enjoyed Pinkalicious. 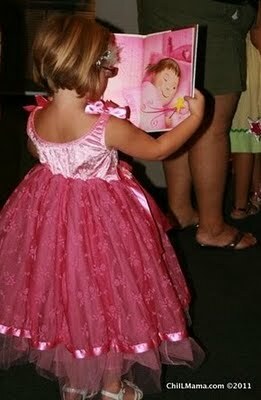 Check out our show review and our exclusive interview with Pinkalicious and her brother. 2 FOR $35 TICKET OFFER FOR PERFORMANCES IN OCTOBER. Use code PINK When Ordering! *Subject to availability. Normal ticketing fees apply. Other restrictions may apply. * Valid on all October performances. Offer ends October 28 at 11:59pm. Not valid with any other offer or on previously purchased tickets. To accommodate extraordinary ticket demand, Lifeline Theatre announces a two week extension of The Count of Monte Cristo! Performances now continue through November 13th. Don't miss this critically acclaimed "stellar adaptation" (Chicago Tribune) of Alexandre Dumas' legendary novel, brought to life by Lifeline Theatre's award-winning ensemble. Buy your tickets today - shows are selling out in advance! Click here for more information about the production, and to order tickets. Walk, hop, or fly to see Mary Poppins. However you get there...Go! 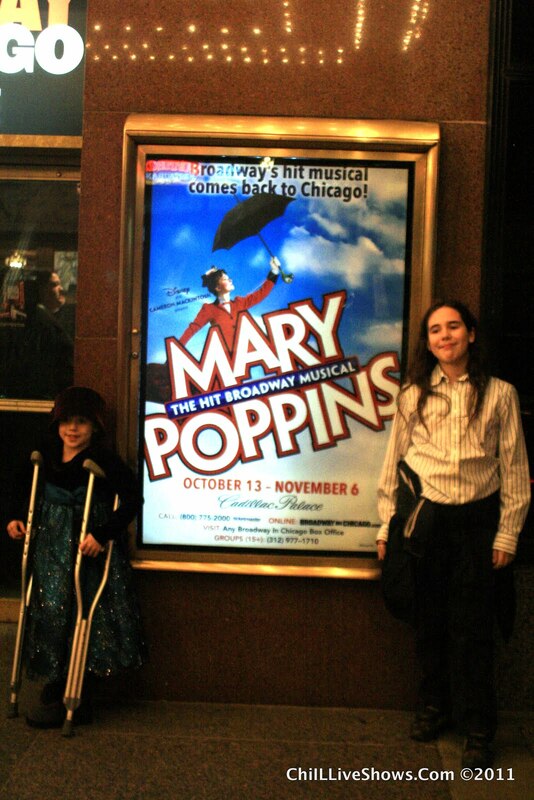 We had the great pleasure of seeing Broadway in Chicago's Mary Poppins on opening night. This very limited run is just back in town through November 6th, so don't delay. Get your tickets today. We'll have a full review up very soon. 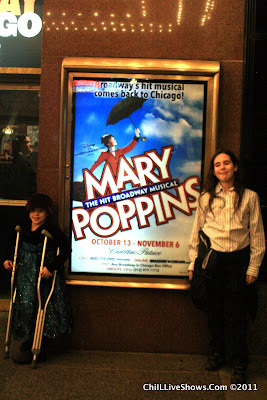 Despite a team gymnastics injury that had Miss "first in state last year" on crutches, that didn't slow up our family fun at Cadillac Palace, with everyone's favorite high flyin' nanny!